Apple today seeded the first beta of iOS 8.4 to registered developers for testing purposes, just five days after releasing iOS 8.3 to the public. The beta, build 12H4074d, is available for download from the iOS Developer Center, alongside the Xcode 6.4 beta. iOS 8.4 introduces a newly-revamped Music app, which includes a new design that shows pictures of artists in the Artists view and offers personalized playlists. 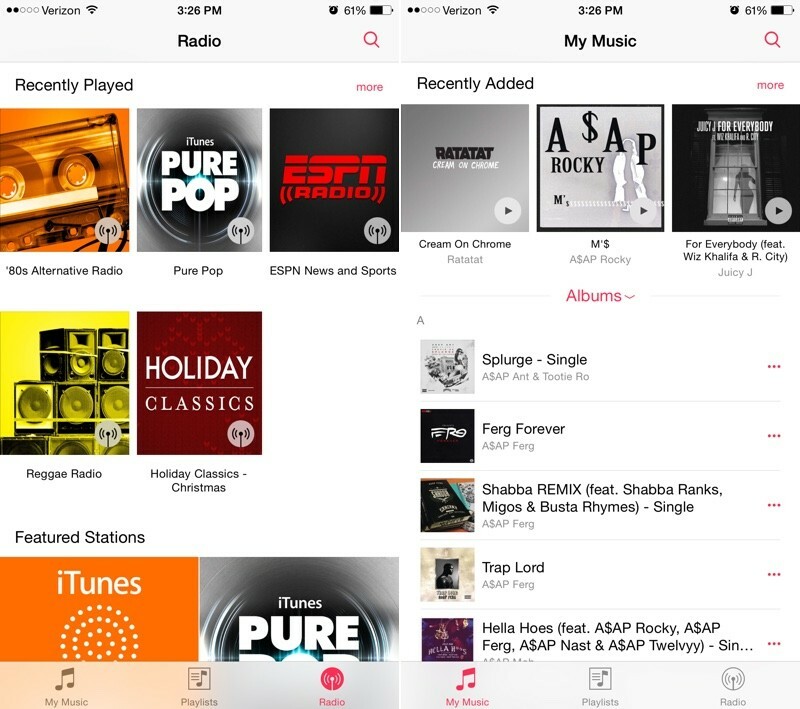 It also offers a new MiniPlayer, a redesigned look for "Now Playing," global search capabilities that make it easier to search from anywhere within the Music app, and a streamlined design for iTunes Radio to improve music discovery. According to today's release notes, there are quite a few known issues with the new Music app in the iOS 8.4 beta, so users should be aware of the possible bugs before downloading the update. For example, using Siri to control iTunes Radio does not work, nor does AirPlay streaming. Station sharing for iTunes Radio is not available, it's not possible to start a station from a song in Now Playing, and the Music app may quit unexpectedly when deleting a playlist or rotating the device to landscape orientation, among other issues. Emoticons! Rah! Rah! What a great reason for an update...! Not. Emoji are lame. They are actually harming people's ability to communicate. For those amongst you who found it painful to adjust to iOS 7, I present... iOS 8.4! Just get rid of the damned "album view" in landscape mode! FINALLY! Was getting tired of the wait for 8.4 already. Please please please make this the end of cover flow. If only iTunes Radio was available in more than 2 countries. Why not just use Control Center?